And, why should you trust him? 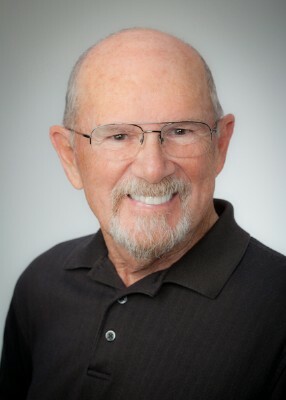 Bill Gaw is the founder of Business Basics, LLC, publisher of the Best-in-Class Lean Manufacturing e-Bulletin and president of the Lean manufacturing Academy. A "been there, done that," Best-in-Class, Manufacturing advocate. His mission is to help individuals and companies realize their full growth and earning potentials. He is a graduate of Milwaukee School of Engineering and has earned professional certifications from both the Society of Manufacturing Engineers (SME) and American Production and Inventory Society (APICS). As a prior Associate Professor at San Diego State University, he helped structure and successfully launch their current Operations Management Program. Bill Gaw’s management experience spans more than 35 years. During those years, Bill has held positions as a shop expeditor, planner/buyer, assembly supervisor, operations manager, COO, president and partner in the consultant practice, Stillman & Gaw. As a business leader, he participated in three successful business turnarounds. In each case, his teams implemented best-in-class lean manufacturing basics, principles and techniques that brought sanity to the day-to-day operations, eliminated the stress of end-of-the-month scrambling, and created a fun work environment while increasing bottom-line performance. At Solar Turbines, as an operations executive he helped grow the business from $50 to $500 million while turning losses into profits in the first year of a nine-year period. Effective implementations of computerized manufacturing system upgrades and a continuous improvement culture were keys to profitable growth. In Spain, at Pegaso, a Spanish truck company, as a turn-around consultant and coach, he participated in turning a huge annual loss into an annual profit - achieving the three-year turnaround objective. Bill coached and empowered operations leaders, developed lean manufacturing champions that implemented leading edge best-in-class, lean manufacturing and supply chain initiatives. When Eaton Leonard Technology faced bankruptcy, they turned to Bill Gaw first as a consultant and then as COO. Bill and his operations teams helped achieve profitability in the first year of reorganization. An aggressive, lean manufacturing transformation was successfully implemented by developing self-directed and empowered teams that provided the driving force for a timely, profitable turnaround. Palomar Systems, an ESI company, wanted greater profit margins and increased sales. Within a five year period, Bill coached and empowered his operations teams increasing product profit margin from 32% to 55% while the business grew from $17 to a whopping $236 million (Stock price rose from $16.00 to $62.00). This was a classic example of the benefits gained through timely, new product development and an extremely successful Best-in-Class, Lean Manufacturing Transformation. Using business experiences as a learning lab, Bill methodically researched and tested business techniques, practices, processes and systems relative to how they contributed to best-in-class manufacturing and bottom line improvement. Bill was able to isolate manufacturing principles and techniques that were crucial to establishing a solid foundation for individual and company success. Through these experiences, he identified relevant problem solving tools, techniques and team empower-ment guidelines for implementing and sustaining a Best-in-Class, Lean Manufacturing Transformation Program. In order to share this powerful knowledge with the broadest possible audience, Bill founded Business Basics, LLC offering training and management development materials based on his experiences and research. He publishes a weekly, Best-in-Class, Lean Manufacturing e-Bulletin and is president of the Lean manufacturing Academy. videos, nor in Google .ppt/.pdf presentations.